The newly introduced Liandro DiVacenza Model #150 is the highest quality Hybrid designed Bass. 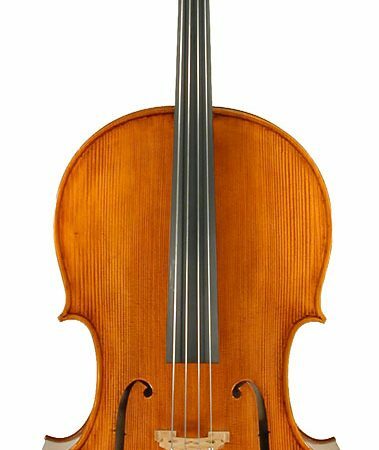 This finely crafted Bass Violin features a highly seasoned handcarved spruce top, higly flamed maple veneered laminated backa nd ribs. 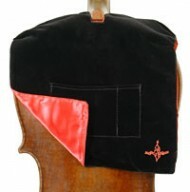 It is a bass of 3/4 size with violincorners. The back is swellback in design. 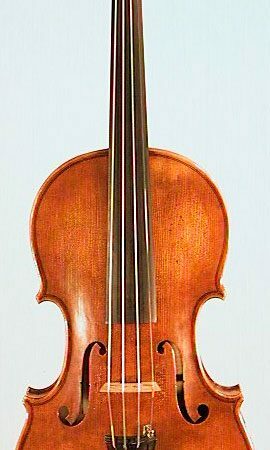 The bass is finished with an antiqued deep brownish red color and has a most impressive deep, lush orchestral or jazz quality of sound. The model DB150 bass is set up with all the hallmarks of the Kolstein shop including the Kolstein Adjustable Bass Bridge with ebony adjusters, full Kolstein dressing of the high quality ebony fingerboard, tonal adjustment, a Kolstein Fendt brass collar endpin with convertible carbide point-crutch tip, Kolstein VariCor Excel or Heritage bass strings, and a Kolstein deluxe padded bass bag. 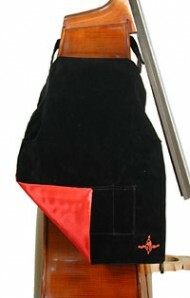 The price includes a Marco Briere Brazilwood bass bow (French or German style). 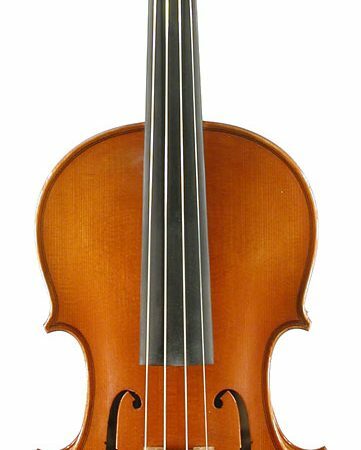 discounted to $2975.00, is a quality instrument offering fine hand workmanship, quality spirit varnish, ebony fingerboard, and quality ebony fittings. It is completed in the Kolstein shop. To request sales information, please use our DiVacenza Contact page.